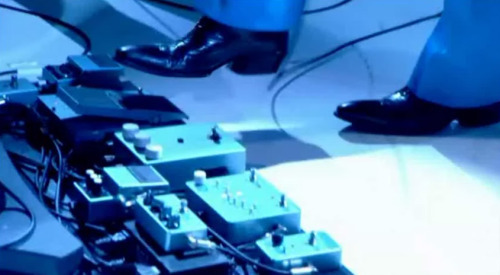 Jack White’s 2012-2013 pedalboard, used during tour promoting his solo record, Blunderbuss, is very similar to his Dead Weather pedalboard. Noticeable differences, other that slight order changes, is that the ZVexx Wooly Mammoth appears to be plugged in (where previously it remained unplugged, probably optional and there for access for the Quantum of Solace song). Also, the tremolo seems gone, and a Boss Noise Suppressor has also been added. Here’s a quick rundown on what we see in the image above.